Zuma: emphasis on free education - SABC News - Breaking news, special reports, world, business, sport coverage of all South African current events. Africa's news leader. President Jacob Zuma announced on Saturday that free higher education at public universities will be rolled out for first year students in 2018. President Jacob Zuma has stressed government’s commitment to ensuring free higher education for learners from poor households in his New Year’s message. During the African National Congress‘s recent national elective conference in Johannesburg, President Zuma announced far-reaching policy changes in which higher education would be funded for students from poor backgrounds. 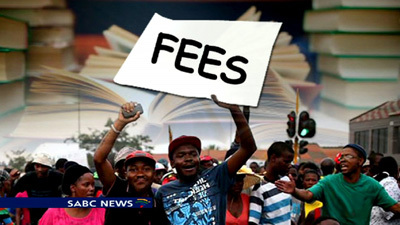 The initiative which aims to benefit over 90% of students has been widely criticised. It is expected to start in 2018 and will be phased in over the next five years. “The intervention must be the beginning of a skills revolution in our country,” says Zuma. This entry was posted on 31 Dec 2017,06:57AM at 6:57 AM and is filed under South Africa, Homepage Latest Stories Slider. You can follow any responses to this entry through the RSS 2.0 feed. Both comments and pings are currently closed.